"A maze of beauty and darkness, of music and magic and glittering things, all tied together with exquisite writing. This is a world you will want to stay lost in. "-Marie Lu, #1 New York Times bestselling author All her life, nineteen-year-old Liesl has heard tales of the beautiful, mysterious Goblin King. He is the Lord of Mischief, the Ruler Underground, and the muse around which her music is composed. Yet, as Liesl helps shoulder the burden of running her family's inn, her dreams of composition and childish fancies about the Goblin King must be set aside in favor of more practical concerns. But when her sister Kathe is taken by the goblins, Liesl journeys to their realm to rescue her sister and return her to the world above. Down in the Underground, Liesl discovers that the Goblin King still inspires her-musically, physically, emotionally. Yet even as her talent blossoms, Liesl faces an impossible choice. As she grows closer to the Goblin King, both of them must learn just what it is they are each willing to sacrifice: her life, her music, or the end of the world. 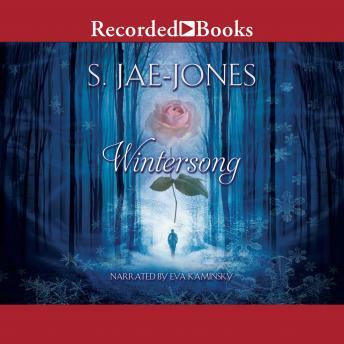 Set at the turn of the 19th century, when young upstart composers like Beethoven were forever altering the sound of music, S. Jae-Jones' richly imagined debut spins a spellbinding tale of music, love, sisterhood, and a young woman's search for self-actualization.